Bleacher Report & The Bold Italic teamed up to kick off the 2013 NFL Football Season with a Sunday event at a local bar for football fans. 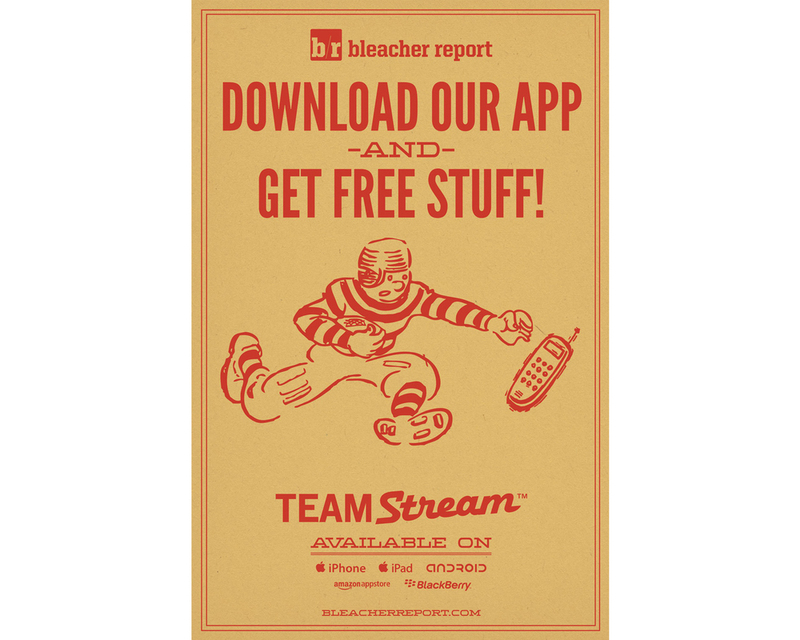 A fun opportunity to promote Bleacher Report and their mobile app. It was exciting to work with a well known SF local online magazine, Bold Italic. With the crowd being young and fun, I wanted to find an exciting & creative way to design a poster and drink tickets. I decided on a vintage theme, as people enjoy the vintage nostalgic feel. 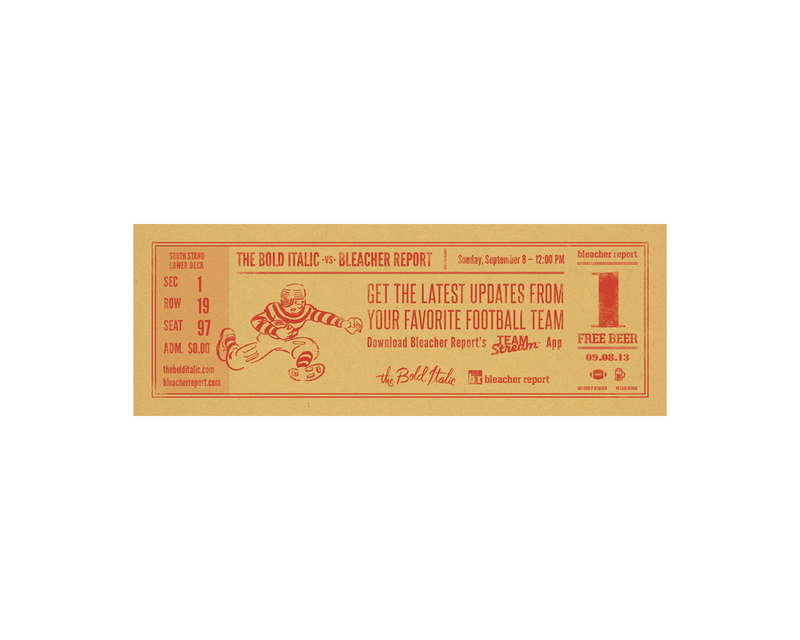 The poster reflects an older art style, and keeping with the same theme, I created the drink tickets to reflect vintage football tickets. The most fun part of the ticket was having the "Free Beer" part perforated for tearing off!